If you’re already a OneNote fan, you know this Microsoft app is versatile and mobile. Whether you’re a veteran or a newbie on this tool, for travel, it can be your best friend. This process depends upon OneNote being stored in the cloud and accessible on your smartphone or other mobile device, like a tablet, with the OneNote app installed. 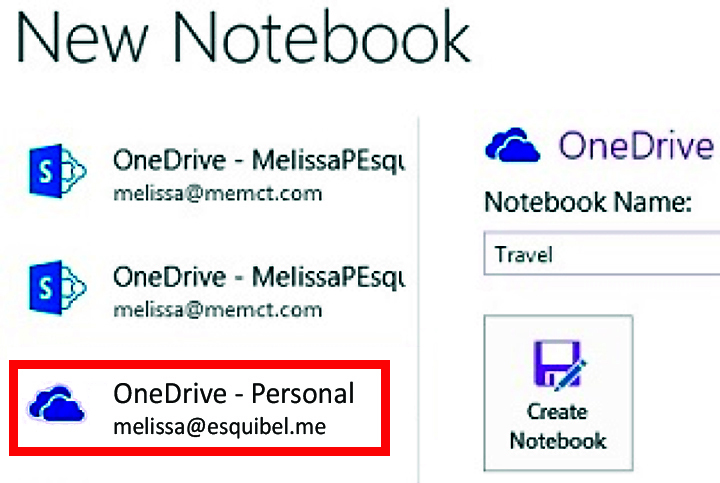 In this example, the notebook is on OneDrive. Check out onedrive.com to get a free account, or create it in your Office 365 Business OneDrive. Check with your Office 365 administrator or IT department to make sure that this location is acceptable and will be available to you on the road via your smartphone or tablet device. Here are the steps to creating a mobile itinerary. 1. Create a notebook, if you don’t already have one for this purpose, or create a section of an existing notebook.